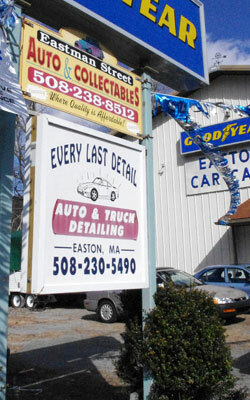 Located at 95 Eastman St. (Rt.106), S. Easton, MA, next to Easton Car Care. Welcome to Every Last Detail! In business since 2001 with over 20 years of experience making cars, trucks and motorcycles look their best. Try us for any of your detailing needs, we guarantee your satisfaction. Come see why our customers come back year after year. We offer gift certificates for any package or any dollar amount, perfect gift for any occasion. Like us, post a comment, tell your friends & family. Post a review, upload a photo, tell your friends & family.